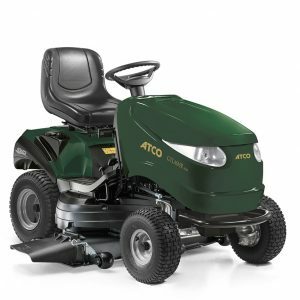 The Atco GT40H Twin lawn tractor is a powerful performer able to cope with larger gardens and paddocks. 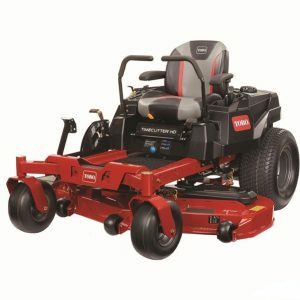 It is fitted with a 656cc Briggs & Stratton Intek 7220 V-Twin twin cylinder engine, for dependable power. 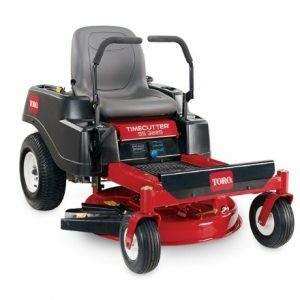 This tractor also features a twin blade “timed” cutter deck. The blades contra rotate and overlap each other; this provides an excellent finish even with such a wide cut. This arrangement also creates a very powerful collection system. Clippings are blown through the rear discharge outlet into a large 300 litre capacity collector which also features a buzzer to alert the driver when it is full. 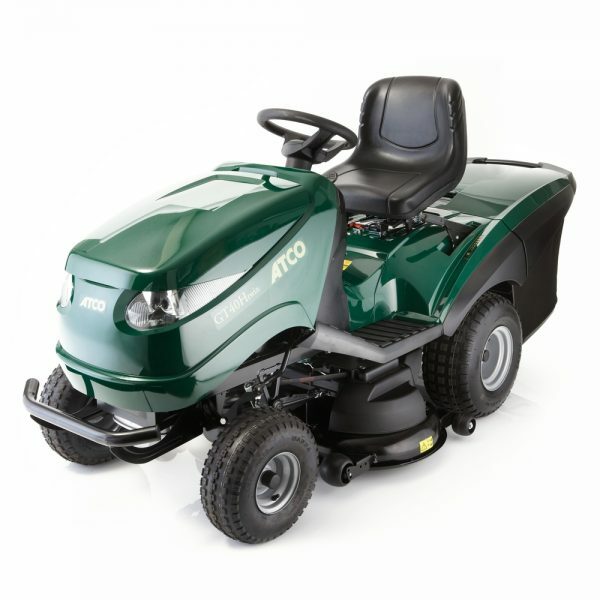 The Atco GT40H Twin is supplied with a free mulching kit so, you choose to collect or mulch your grass. An optional rear deflector is available at extra cost for true 3-in1 capability. The blades are turned on and off at the flick of a switch through an electronic clutch and cleaning the cutter deck after use is straightforward thanks to a clip on hose fitting on top of the casing. 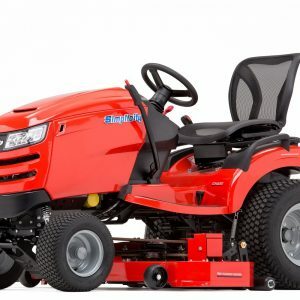 Feature such as a fully hydrostatic transmission system, assisted steering which reduces the steering effort makes this tractor a real pleasure to use, especially if you need to manoeuvre around trees, garden furniture or other obstacles. This tractor also benefits from a comfortable high back seat and a soft grip steering wheel, little extras like these all add up to this machine a delight to use.